Caring for a parent, spouse or other loved one can be a rewarding experience, but it can also be challenging. ♥ Do you spend several hours per week—or more—helping a loved one with housekeeping, driving, grocery shopping, medical care or financial responsibilities? ♥ Do you sometimes put the needs of your loved one before your own? ♥ Are you overwhelmed with the responsibility of caring for a loved one along with work and other aspects of your life? If you answered “yes” to any of these questions chances are you could use some help. 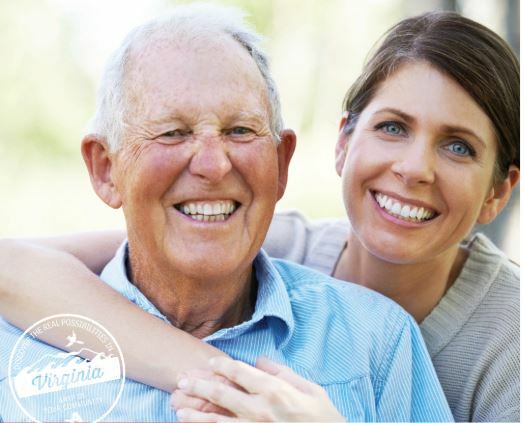 Every day, more than 1 million Virginians help older parents, spouses, adult children with disabilities and other loved ones to live independently in their homes and communities. These family caregivers assist with bathing and dressing, preparing meals, driving to doctor visits, paying bills, administering medication, and other medical tasks—all the everyday necessities of life. Some provide this help sporadically, while others are on duty 24-7. Most juggle caregiving responsibilities while also working full- or part-time, and some are still raising families. Without a doubt, family caregiving can be overwhelming, stressful, and exhausting. That’s why AARP Virginia is fighting for common-sense solutions to help make family caregivers’ big responsibilities a little bit easier. We invite you to share your story about caregiving; so that AARP Virginia can make sure that our elected officials hear them and do something about it. Join us on Thursday, April 25 at 10:30 am in the Auditorium of the South County Library in Roanoke so we can hear from you. RSVP: The event is free and registration is required in order to provide lunch to everyone. Local legislators have been invited to learn more about family caregivers in their districts.